Protec Arisawa has established as a main actor for the Water Treatment Industry within the Offshore Operations, having been recently trusted by VWS WESTGARTH for the P67, P70 and P76 and Degremont for the P74. 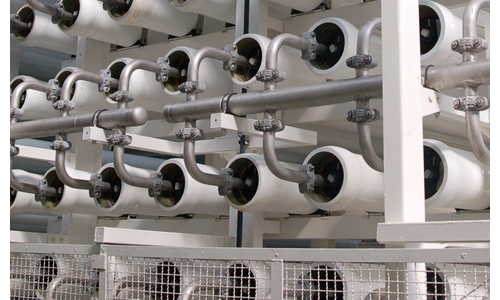 Cadagua will fit the new Desalt Plant out in Granadilla (Canary Islands) with PROTEC Vessels in a European region relying heavily on desalinated water. The project has a total cost of €16m and it´s expected to produce in its 1st phase 14k m3/day and increase up to 21k. There´s even a 3rd phase already designed to grow up to 42k m3/d to completely assure water supply for this part of the Tenerife Island. This project is vital for the South of Tenerife, as the huge hotel population in the area requires an stable water supply with the required quality. Desalia has confided Protec Arisawa FRP Vessels for a new, 24,000 m3/d (6.3 MGD) SWRO plant west of Alexandria, near the city of Matrouh. The plant, which will provide potable water meeting WHO standards, is being built for the Armament Authority for Egypt’s Ministry of Defense. PROTEC ARISAWA will be present at the upcoming edition of the Saudi Water & Power Forum (SWPF) which will take place from January 12th to January 14th, 2015, in the Al Faisaliah Hotel, in Riyadh, Saudi Arabia. We will present in our booth B1 our well known pressure vessels PROTEC for sea water and brackish application. We´ll be glad to meet you there to show you first hand our brand new products and innovations just coming up from our Technical Team. We could not miss such an important event in a market like Saudi Arabian, where Protec Arisawa is one of the most respected partners for most of the actors involved in the Water Industry in the Gulf Area. Protec Arisawa has signed an agreement with Piedmont Pacific Corporation to become worldwide distributor for their SS Couplings for wet and corrosive environments where high strength and long service life are required. Water, wastewater, seawater and some chemical process industries have these requirements and stainless steels have proved over time to be the most cost effective material for these applications. The US Company has entrusted Protec Arisawa as a reliable partner with ample knowledge and respected expertise in the Water Industry, being well-known and recognized by most of the Water Field Companies all over the world.